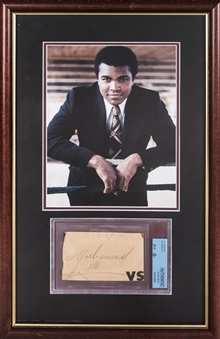 The legendary pugilist Muhammad Ali has signed this offered cut in blue pen. Ali, who many call the greatest athlete in American history, compiled a 55-6 record as a pro boxer. He won numerous heavyweight title belts and took part in numerous classic fights, including the Rumble in the Jungle and the Thrilla in Manila. This offered cut has been encapsulated by Beckett Authentication Services and JSA (B60141). 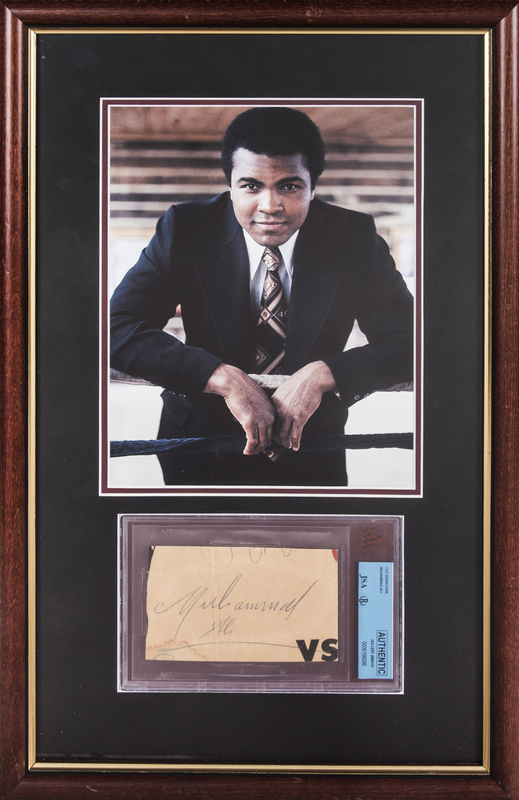 It is displayed beneath a photograph of Ali in a suit and is presented in a 20.75 x 13.5-inch frame.